NVIDIA reveals the TITAN V, its newest supercomputing Volta-powered GPU delivering 110 Teraflops of deep learning power which is 900% more than its predecessor. The TITAN V, powered by the new Volta architecture, sports a major redesign of the streaming multiprocessor that’s the core of the GPU. The new architecture greatly increased the energy efficiency of the GPU compared to the Pascal architecture. This enables dramatic boosts in performance in the same power envelope. New Tensor Cores designed specifically for deep learning deliver up to 900% higher peak teraflops. With independent parallel integer and floating-point data paths, Volta is also much more efficient on workloads with a mix of computation and addressing calculations. Its new combined L1 data cache and shared memory unit significantly improve performance while also simplifying programming. 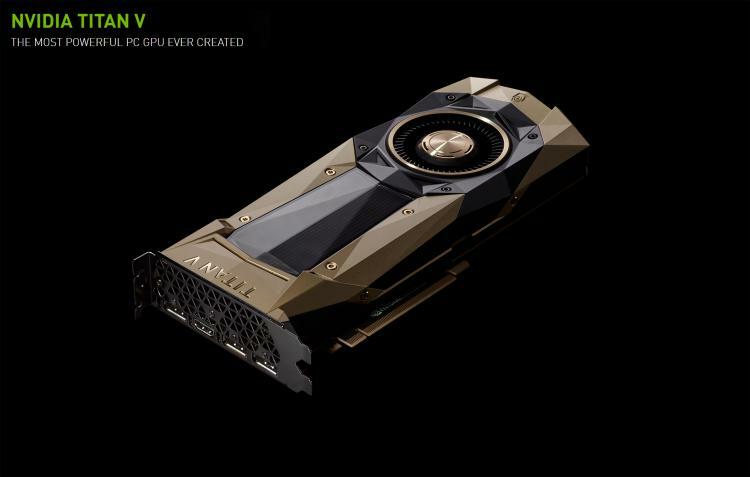 The NVIDIA TITAN V supercomputing GPU is now available for pre-order with an MSRP of £2,700.00. Estimated shipping date starts on the 30th of December, 2017.